For example, the Bunker Hill School in Rusagonis, New Brunswick has been well maintained and is used as a meeting place in the community. The old school has been recently painted and has a wheel-chair ramp. The conservation of older buildings in the landscape is problematic. They have historical value, create community character, and serve as a reminder of the past. On the other hand, for derelict buildings without purpose, liability soon exceeds value. We are at a time in our history when the buildings associated with growth in the late 19th and early 20th centuries are succumbing to the vagaries of time. Older designs, although often sturdy, are not energy-efficient and don’t always fit our modern ideas of efficiency and convenience, or our 21st century need for parking areas, central heating, and convenient washrooms. As a result many older buildings, including churches, schools, halls and stores are lost from the landscape. 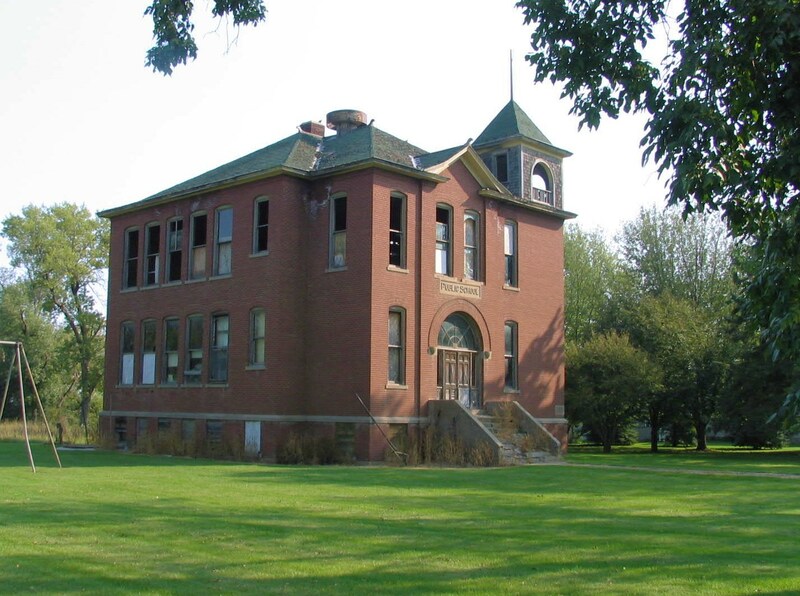 Do you have older school buildings in your community and what has been/will be their fate? Some of one-room school houses in Pennsylvania have been converted into small homes. Typically a small addition is added onto the building, and the school itself is divided into a couple (not very large) rooms. Most here are converted to camps. There are some really beautiful homes and businesses made from old churches! Would be fun to live in an old school! Just found out the school pic I attached was in Minnosota not far from Minneapolis. A treasure trove of thought and knowledge, as usual. I remember walking round the country side when I lived in England and Wales and seeing the old Roman ruins: wells and footpaths. roads and bridges. So little survives, so much is lost, so many stories to be told: thank you for telling us some of them, Jane. There has been in my community some disagreement on whether to preserve old buildings/residences or use the land to benefit the whole community. Letters to the editor etc. If private funds are to be used, I would agree with preserving. But when public funds are needed ….. well I’d rather they fix up the bumpy streets. Hi. It’s funny how long you have to live in a place before you can ‘claim it’. We have been here36 years and I still feel a bit new. As for older buildings, choices are always hard. In New Brunswick we have protection in place for important historical buildings but preservation funds usually come from private sources or fund raising.